Have each vehicle in your inventory tell the world Why to Buy from you! Key dealer strengths displayed prominently, giving you an edge over your competition. 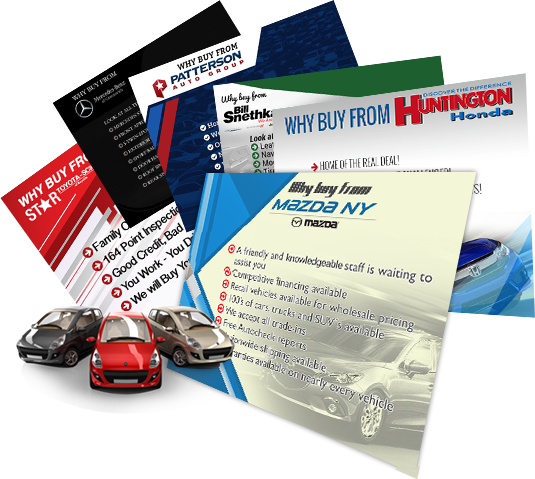 Customized design highlights your contact info, building your brand effectively. Continuously updated to keep consistent with your marketing campaigns. Great variety of dazzling, eye-catching layouts.